This week PKMNcast presents a full cast with the one and only, Marriland. David and SBJ talk with Marriland about the video game and trading card game. In this episode we also cover the new Movies coming this Dec, as well as, a bit about Dark Rush. A big thanks to @devoncarrots for arranging Marriland to be on the show. A big thank you to Marriland and all of the fans who support both sites for listening. SBJ teams up with Aaron and Jay for a boring podcast with an Epic ending. We blame Jay. In this episode we talk about Pokémon Rumble Blast for 3DS, Jay's Fan Fic, and Flareon. Stay tuned to the end! Episode 031, the first of the Revamped shows we are doing. Why is it "revamped" - well... because we have two brand new guests on it. SBJ talks with Kenny and Travis about Pokemon Black and White, as well as, Rayquaza, News regarding Bento Boxes, and more. We also have some awesome music by A-1. Enjoy! 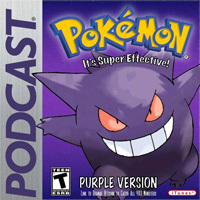 In this episode we talk all Eevee. We run through all 7 Eeveelutions. We also talk about some news, like the new Pokémon Center opening up, as well as answer a couple question. You asked for it, Eeveetober! 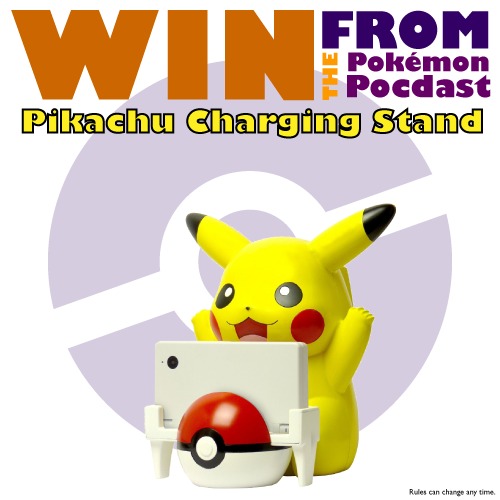 Win a Pikachu DS Charging Stand... For FREE! Last month we gave away a FREE PokéDex to a lucky winner who reviewed us in iTunes. Thank you for everyone else who entered. The contest required a bit of work last month, and we are going to make this contest a bit easier, but pretty similar. So this month we are giving away a Pikachu Charging Stand (will charge any DS, DSi, and/or DSi XL). This guy is currently only available from Play-Asia for $40... then they stick you with another $20 to ship it. Fear not! All you have to do is enter our contest to win! 2. Tell your friends to Review us in iTunes! 3. Get us up to 100 Reviews in iTunes. 4. E-mail us your Review to enter to WIN. The wait for Pokémon Black and White is finally over... if you live in Japan. This week we talk about some of those new Pokémon. We also go over another Featured team as well as talk about the Shiny Ponyta video. We also have the PKMN of the Week! Show notes: For a complete list of the New Black/White Pokémon. Also, this is the last week you can win the PokéDex, so click here to see the rules. Video Link.